If you’re just starting out as a small business, you may be hoping to find a great office space. It’s important to have a space where your growing team can work, collaborate and thrive. And while a lease may be a good short-term solution, buying a property can provide security in the long run. If you’re hoping to enter the commercial property market, we’ve put together a guide so you know what to look out for, and what to consider before you buy. If you buy an office space larger than you may need, renting desk space can be a great solution. If you’re paying off a large mortgage as a result of buying a property, it can be beneficial to monetise the purchase. If you have a spare room, look into renting it as a function or meeting space, or simply rent space as a long-term lease to other businesses. DIY, anyone? If you own a property for your business, you’ll be able to make renovations – in accordance with local law, of course. For office inspiration, see Business Insider UK’s round-up of the UK’s best office spaces in 2017. With a mortgage, you can choose a fixed interest rate, to ensure you know what your business expenses will be. 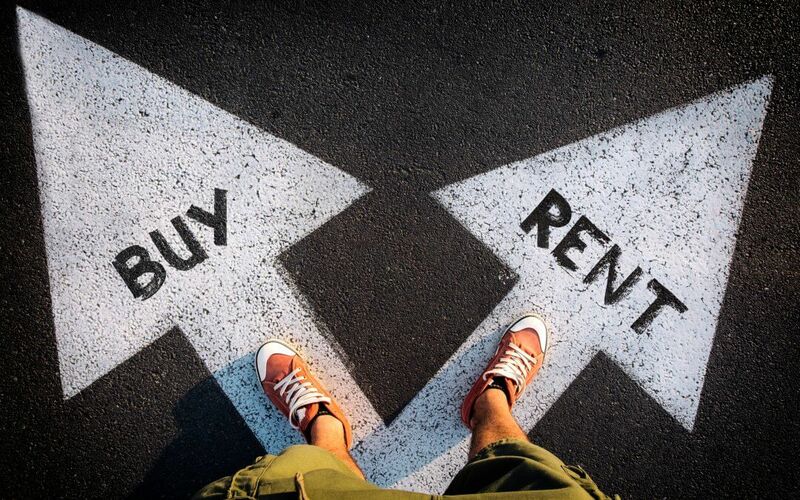 If you rent a property, on the other hand, your purchase could be subject to massive rent increases. Buying office space also means asset appreciation, wherein buying a property can offer a return on investment in the future. If you’re still in a business growth phase, then it can be difficult to estimate what size your office should be, long-term. This is why many small businesses choose to rent before they commit to a property purchase; companies grow and downsize, so you may not be able to predict the needs of your business in the future. If you’re strapped for cash, it can be difficult to pay the deposit on your business property. If you own a business premises, then it can make it more difficult to relocate your business. Buying and selling property can be a time-consuming and intensive process, so it’s good to have a clear business plan that determines where your business will be located five years down the track. Knowing the type of investment you’ll be buying into is vital. Owning a freehold property means you own the building and land that it stands on outright. Your name will be listed in the land registry and you’ll own the title absolute. Leasehold, on the other hand, means you lease the property/land from the freeholder (or landlord) for a certain number of years. Leases are generally long-term – often 70-120 years – but you’ll need to pay maintenance fees, annual service charges and usually an annual ground rent to the freeholder. Mortgage lenders will look at habitual spending habits, such as paying employees, travel costs and product spend. This will also provide details on the financial stability of the company. A clear business plan will allow you to communicate your commercial vision to potential lenders and investors. A thorough business plan should include market research, marketing strategies, your target audience, source of funding and financial projections. Cashflow enables your business to pay bills, expenses and wages. A lender will want to know you’re able to meet your mortgage repayments, so will need to know your overhead costs and sources of income. Making the decision whether you want to purchase or lease office space will largely come down to the financial situation of your company. Assess your cashflow situation before making the decision to buy, as you’ll need to ensure you can pay a deposit. You’ll also need to consider whether a property is best-suited for your business in the long term; the size of your business will most likely fluctuate in the future, so it’s best to check whether the property space has room for your business to grow, or space to rent desk spaces if your business shrinks. Need to speak to a conveyancing solicitor about purchasing property as a small business? Our Commercial Property team at Beaumont Legal are available to speak about your property purchase, so you can see how much the process will cost.